Everton are looking set to land Davy Klaassen after Dutch Media (Football Oranje) revealed that they are in advanced negotiations with Ajax ahead of a potential move. The Netherlands international has joined Ajax in August 2004. The 24-year-old has a valid contract with Ajax until June 2019. 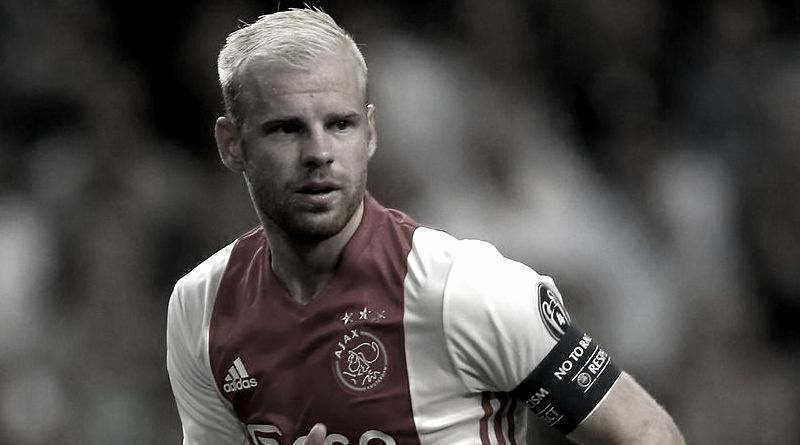 Since his arrival, Davy Klaassen has scored 55 goals and provided 38 assists in 180 games for Ajax, including 20 goals and provided 12 assists in 50 games in all competitions this season. The Netherlands international has been in outstanding form for Ajax this season. Klaassen has represented Netherlands at Under-16, Under-17, Under-19 and Under-21 level, winning 29 caps and scoring seven goals, before making his senior international debut in March 2014. As a member of Netherlands national football team, Davy Klaassen has won 14 caps and has scored four goals. Adding a attacking midfielder remains Everton’s top priority this summer and Ronald Koeman will have drafted a shortlist of a number of possible targets he could approach in the coming weeks. Everton manager Ronald Koeman wants to continue to strengthening his squad so they’re able to compete both domestically and in the Europe League next season. Ronald Koeman will reportedly be handed a huge transfer kitty this summer and the Ajax attacking midfielder is thought to be among the manager’s priorities. Everton are desperate to make an impact in this summer transfer window. The Netherlands international will definitely be a good addition to the Everton side. With questions being raised concerning Ross Barkley’s future at the club, the Everton boss could well look to Davy Klaassen as an ideal replacement. According to the report from Dutch Media, Ajax valuate their attacking midfielder Davy Klaassen in the region of 30 million euros. Everton are offering a contract to the Netherlands international, worth in the region of 5 million euros-per-year.